Picasa Download! How to download Picasa for your Laptop and Mobile devices? In this page we have step-by-step procedures on how to download, install on your laptop and any mobile devices like Android phone, IOS devices. Picasa by Google is a photo and video storage facility by Google. You can upload as well as share with your friends and family. 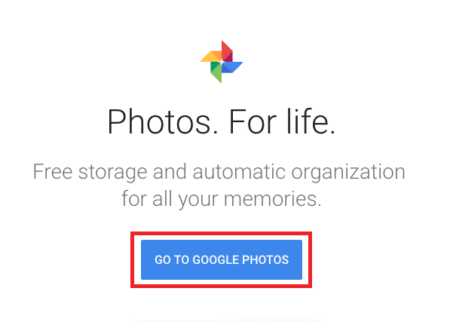 Google have now decided to retire Picasa so that they can focus on a single photo service now in GOOGLE PHOTOS. You can download the app for smart devices as well as download application for any laptop. 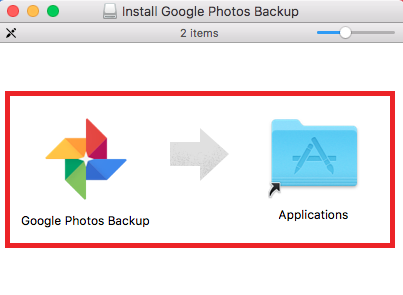 How to do Picasa download for macOS Sierra and previous versions? As Google have move Picasa or Picasa Web to Google photo there is no more Picasa Software for any OS platforms. You now only download ‘Desktop uploader’. To download the desktop uploader you will have to go to the link mentioned below. Click on download. System will automatically chose which OS version it needs to download. From macOS Sierra or Windows. Once downloaded –Click on the download gpautoback_setup.dmg file. Let it load and once load you’ll see the application that you will have to drag and drop to Application folder. Check the images below for references. Open the application by clicking on the icon. As shown in the image below. Click on continue to login to your Gmail account. 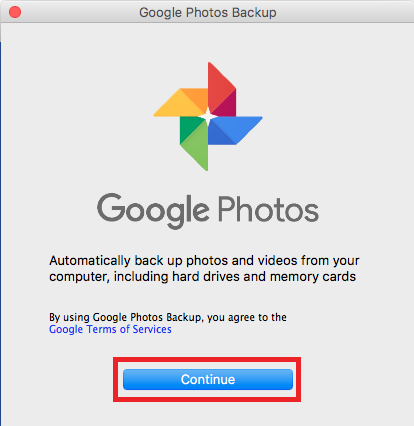 You must have to have a Google Account to backup your photos and videos in Google Photo or Picasa Web.Don’t have a Gmail account? Learn how to make one? NOW! If you have a many accounts even Google+ pages you can chose which one you would like to use for your Google Back up. On your right hand side of the window click on the account or Google+ page you want to continue with. 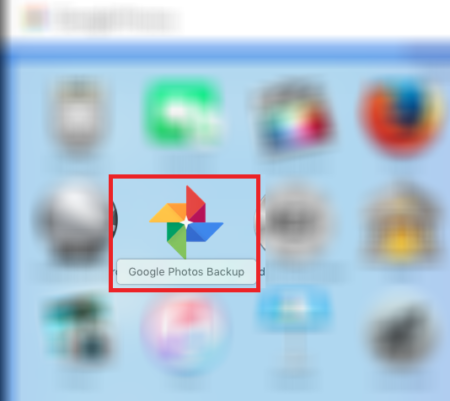 Once you have done with folder and photo size click on ‘Start backup’ on lower right hand corner. 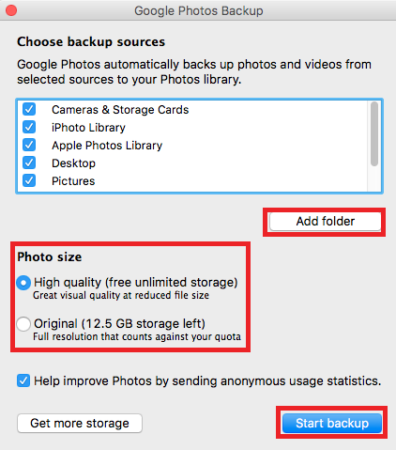 You can edit the photos online by going to https://www.google.com/photos/about/ and check your upload images via Google photo Back up App. 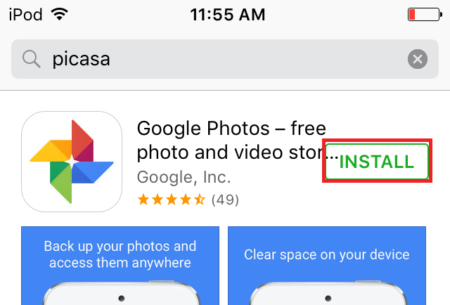 How to do Picasa Download (Google Photo app) for Smart Devices running Android or iOS operating systems? For IOS DEVICES like iPhone, iPad and iPods. Once downloaded go to all application and tap on Google Photo icon to enjoy. See photo for reference below. As this application is by Google company. Most of the new android phone comes with Google Photo preinstalled. 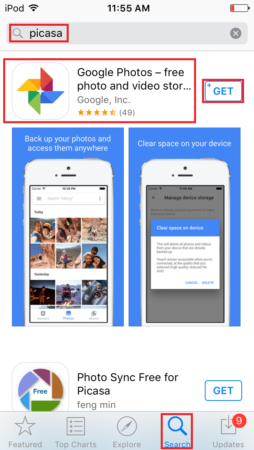 Check and look for Google Photos icon. Like the image below. Picasa download without downloading the application in your systems. You can use Picasa (now Google Photo) using your web-browser. Click on the ‘GO TO GOOLGE PHOTOS’ link you see in the middle of the page. You’ll have to sign in to access the service. Enter your Gmail email account and after that password.